Total shipments (the cumulative total of shipments from January to December) of digital cameras in 2017 are projected to be 21.70 million units, a year-on-year decline of 10.3%. 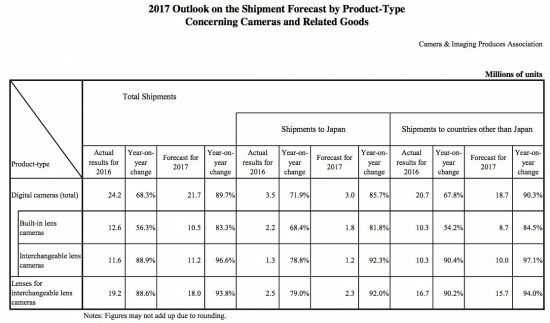 The Camera & Imaging Products Association (CIPA, President: Hiroyuki Sasa) has announced the outlook on the shipment forecast by product-type concerning cameras and related goods for the 2017 term. Total shipments of digital cameras in 2016 (the cumulative total of shipments from January to December) fell 31.7% year on year to 24.20 million units. Since CIPA began compiling records in 1999, digital camera shipments recorded steady growth, surpassing 100 million units for the first time in 2007. However, shipments fell for the first time in 2009 due to the global recession. Although shipments returned to growth in 2010, they fell again in 2011 because of the serious impact on production from the Great East Japan Earthquake and flooding in Thailand. Since then, shipments have continued to decline, and experienced a year on year decrease of more than 30% in 2016. The impact of the Kumamoto Earthquake in April, 2016 was not minor, causing the big factory of major digital camera parts to shut down its operation temporarily by the direct hit. However, shipments showed a remarkable recovery trend after the autumn when supply of the parts resumed. Based on this trend, 2017 is regarded as a promising year for the rebound of the industry, and for getting off a good start with keeping the pedal to the metal from the beginning of the year. While the total shipments continued to fall, those of digital cameras with interchangeable lenses which are high-added-value and high-price products, are accounting for a greater and greater share of total shipments–––27% in 2013, 32% in 2014, 37% in 2015, and 48% in 2016, coming close to 50%. The industrial structure has changed. Shipments of digital cameras with a built-in lens (so called compact digital cameras) declined 43.7% year on year to 12.60 million units. Although shipments ended up being extremely weak, it cannot be stated definitely that the weak shipments reflected real ability when considering the influence of the Kumamoto Earthquake. We will hope for expansion, including new products of each company after this spring. Shipments of digital cameras with interchangeable lenses fell 11.1% year on year to 11.60 million units. Shipments remained low, at about 70% of the previous year’s, immediately after the Kumamoto Earthquake, but they recovered by around 90% in autumn, reaching double-digit growth toward the end of the year, and total annual shipments also reached nearly 90% of the previous year’s. Broken down by regions, shipments of digital cameras with built-in lenses to Japan contracted 31.6 % year on year, while shipments to regions outside of Japan fell 45.8%. 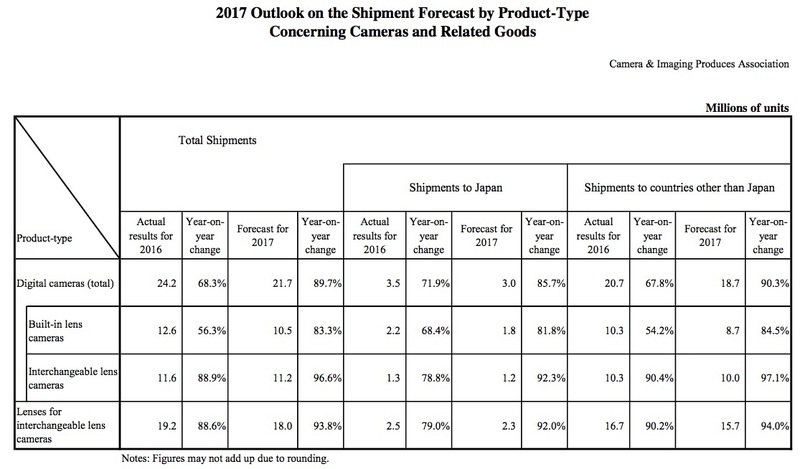 As for shipments of digital cameras with interchangeable lenses, those to Japan shrank 21.2% year on year while those to regions outside of Japan declined 9.6%. Shipments of digital cameras with interchangeable lenses to regions outside of Japan are driving the recovery. Digital cameras with built-in lenses have faced fierce competition with the smartphone. However, digital cameras with interchangeable lenses provide picture quality that is different from that of smartphones and demonstrate unrestricted expressiveness when combined with highly individualistic interchangeable lenses, and sales of these cameras remain firm. 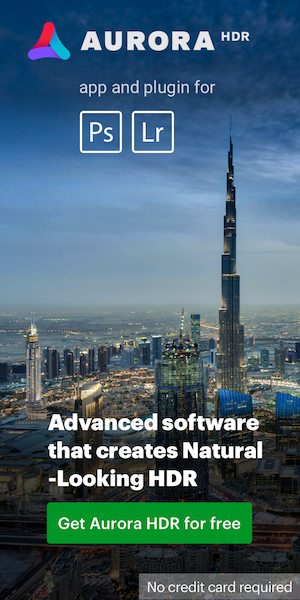 On the other hand, with respect to smartphones, various statistics are published concerning the aspects that are different from those at the time when the smartphone made an incredible leap forward. We would like to keep a close eye on the trend of the product-type, whether it will be a favorable wind for digital cameras with a built-in lens, which produce images worthy of authentic cameras. Models that propose fun that surpasses that by smartphones are being put into this product-type one after another, including 360-degree panorama or VR cameras, waterproof action cams, and cameras with high-magnification zoom lenses. Digital cameras with interchangeable lenses are not only high-added-value products but also system products that demonstrate their full capabilities when used with interchangeable lenses. Shipments of lenses for these cameras totaled 19.20 million units, a year-on-year decrease of 11.4%. Although it was impossible to avoid a link with the sluggish production of digital cameras with interchangeable lenses, the paired body for those lenses, the previous trend, shipment volume about 1.6-1.7 times that of digital cameras with an interchangeable lens, has been maintained. Broken down by product-type, shipments of digital cameras with built-in lenses are projected to be 10.50 million units (a year-on-year fall of 16.7%). Of those, shipments to Japan and those to regions outside of Japan are projected to be 1.80 million units (a year-on-year decrease of 18.2%) and 8.70 million units (a year-on-year decline of 15.5%), respectively. Shipments of digital cameras with an interchangeable lens are projected to be 11.20 million units (a year-on-year fall of 3.4%). Of those, shipments to Japan and those to regions outside of Japan are projected to be 1.20 million units (a year-on-year decline of 7.7%) and 10.00 million units (a year-on-year decrease of 2.9%), respectively. Shipments of lenses for cameras with interchangeable lenses are projected to fall 6.2% year on year to 18.00 million units. Of those, shipments to Japan and those to regions outside of Japan are projected to decline 8.0% year on year to 2.30 million units and 6.0% year on year to 15.70 million units, respectively. In addition to the step-up demand from users who have come to enjoy taking photos because of smartphones and want digital cameras, expectation for another step-up demand from the existing users of digital cameras who replace with or buy better digital cameras will remain high. Therefore, it is expected that demand for digital cameras with interchangeable lenses will remain firm compared to that for digital cameras with built-in lenses.